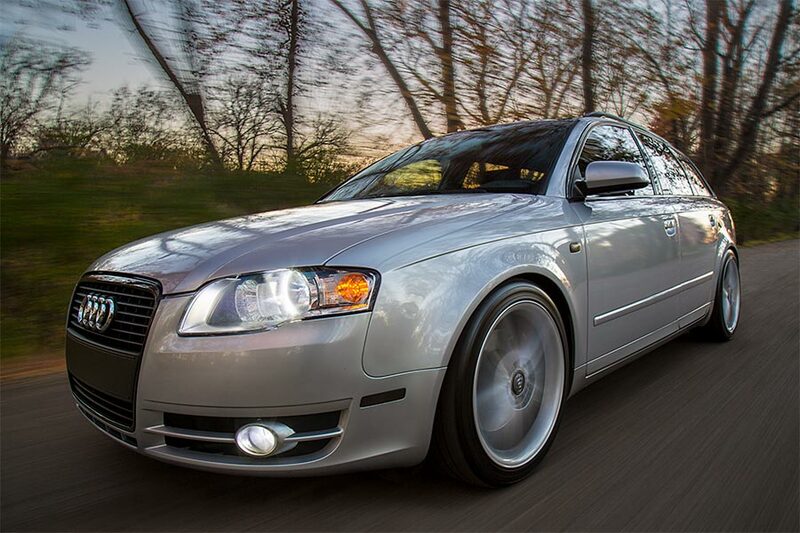 9007 LED Headlight Bulbs Conversion Kit with Compact Heat Sink: Shown On From Inside Car. 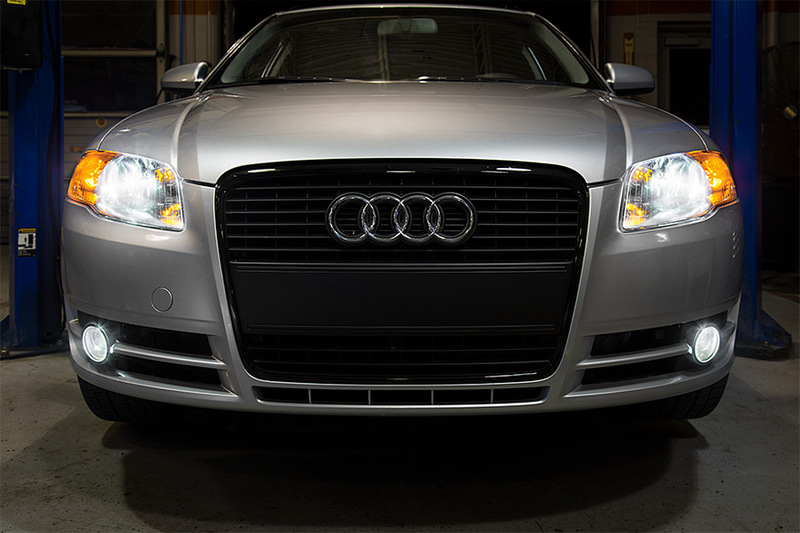 Increase your safety and visibility with this 9007 LED headlight/fog light kit. 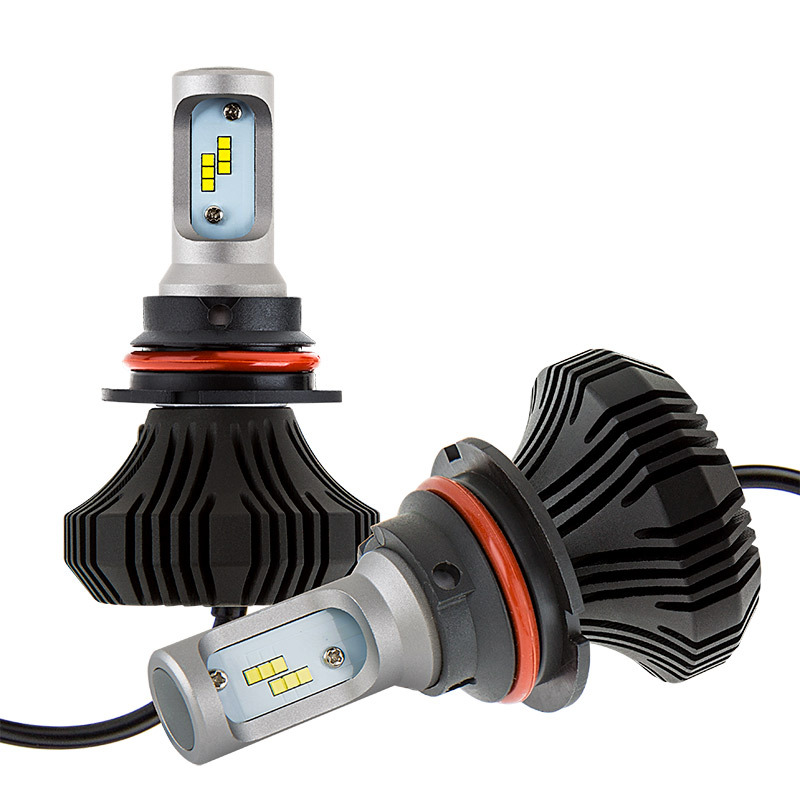 The dual-intensity LED headlight bulbs emit 4,000 lumens of cool white illumination per set (2,000 lumens each) and feature 3rd generation cooling technology. 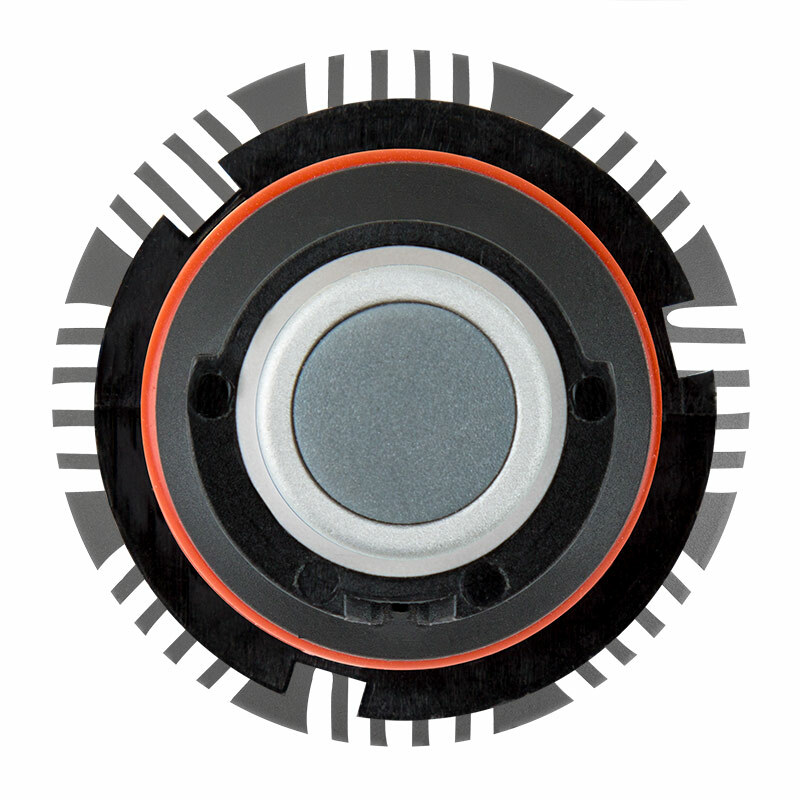 They have integrated heat sinks instead of short-lived fans or bulky braided heat sinks. This allows for a longer-lasting bulb and easier installation in tight spaces. 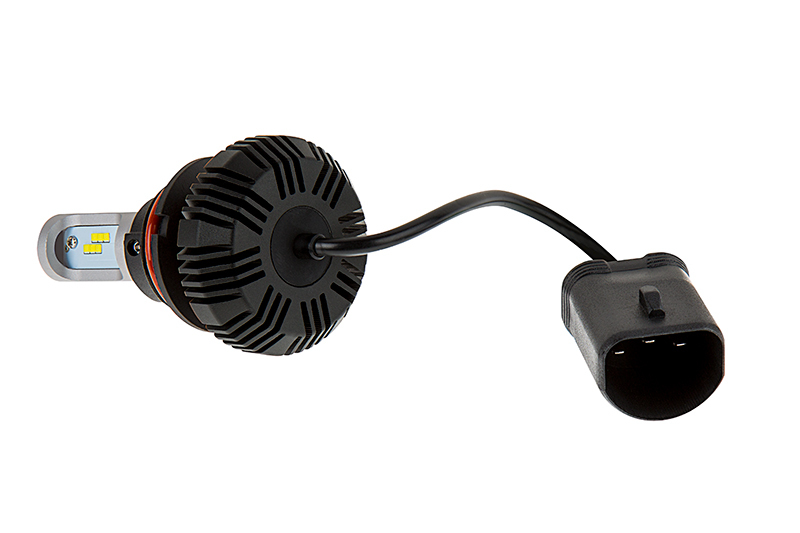 They also have internal drivers, which eliminates the need to mount an additional part and locate an appropriate mounting spot. 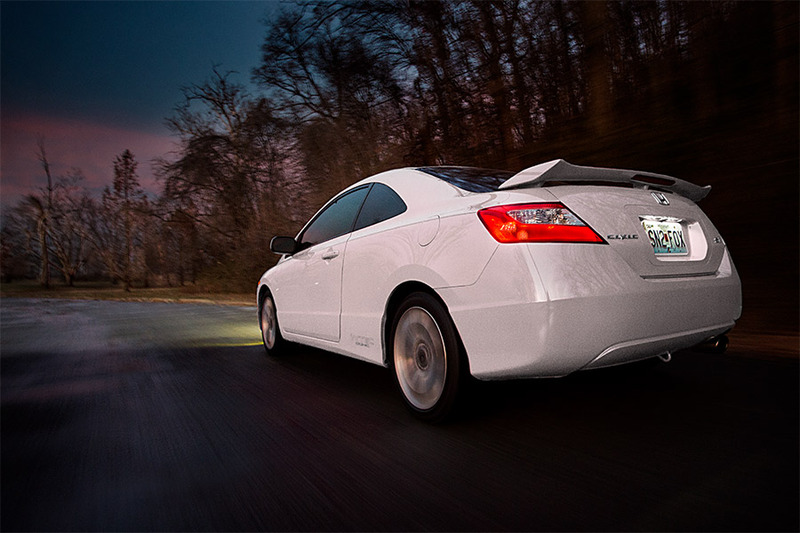 The compact bulbs last 13 times longer than halogen bulbs and 3 times longer than HID bulbs. LED arrays in each bulb are designed to mimic the filament in halogen bulbs—creating a closely matched beam style. 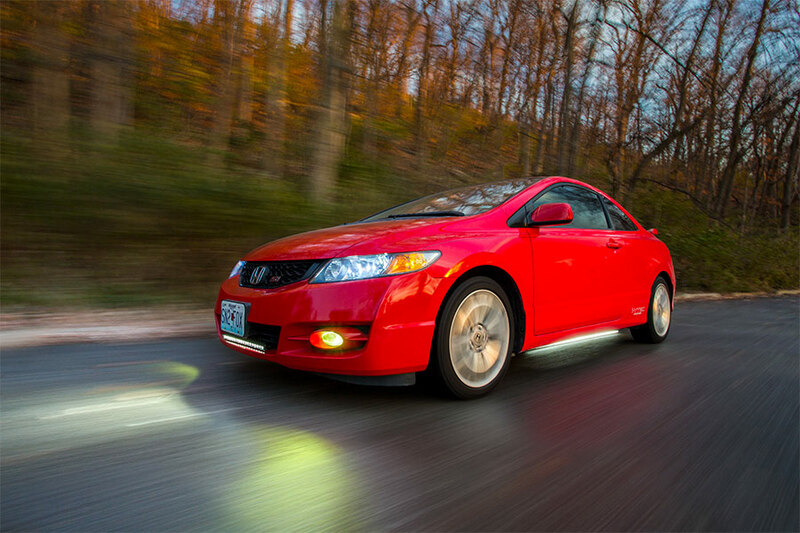 Each headlight bulb has 2 rows of LEDs that are activated individually for high- or low-beam settings. 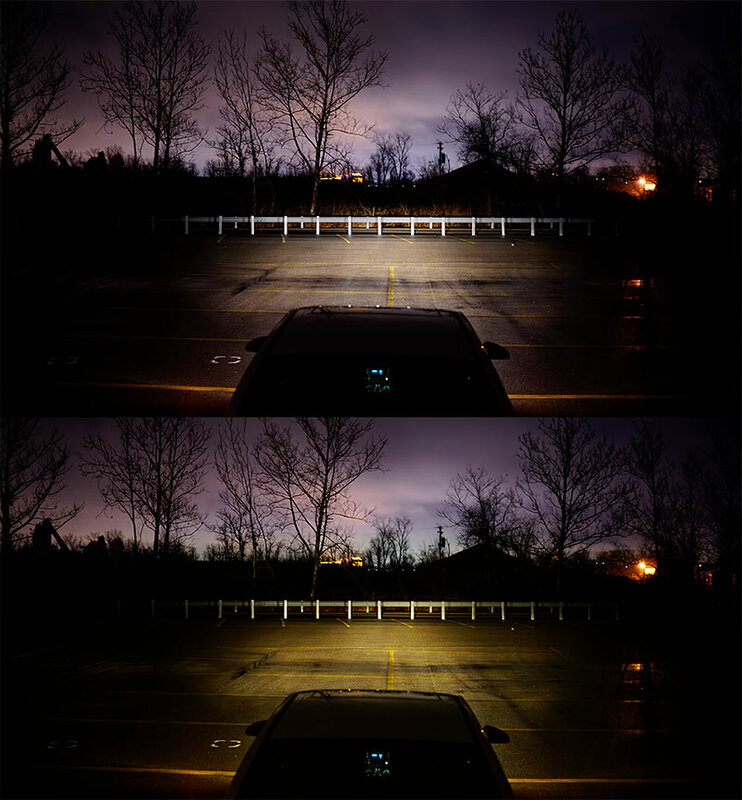 Only 1 row of LEDs is in use at any given time, and intensity is the same for both sets. These waterproof, CAN Bus compatible bulbs operate within a wide 9-32 VDC range. 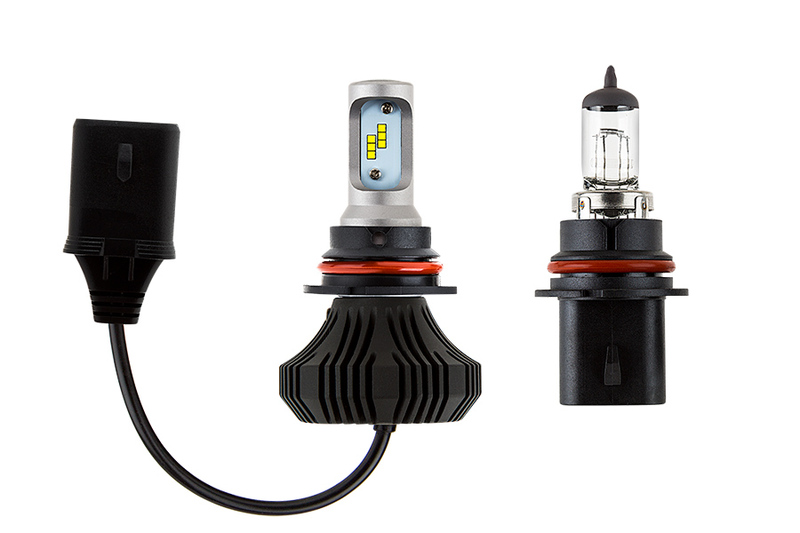 This long-lasting kit includes 2 LED headlight bulbs and 2 adapter plugs. Price per kit. I installed these in my 2004 F-250. I had to modify the truck locking ring by cutting off about 1 inch of it due to the base/heat sink of the LED is too large. I also had to add a Hillman Machine Bushing 7/8 x 1-3/8 x18ga (washer) that I got at Lowe's between the LED and lock ring due to looseness of the LED when installed. This greatly reduced the amount of "play" or bulb movement when installed. The lights are brighter than my Halogen so much so that when I turn on my Fog lights, I really can't tell the difference. 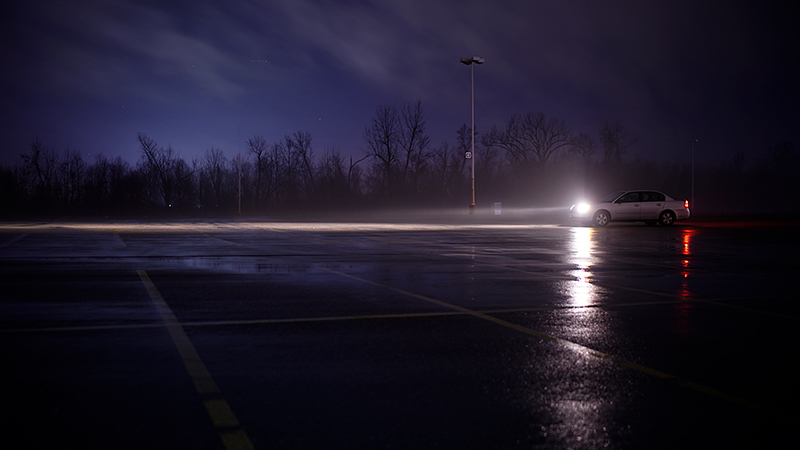 I had to use the Fog lights with the Halogen bulbs (I was using the Sylvania Gold 9007) so supplement the lighting. 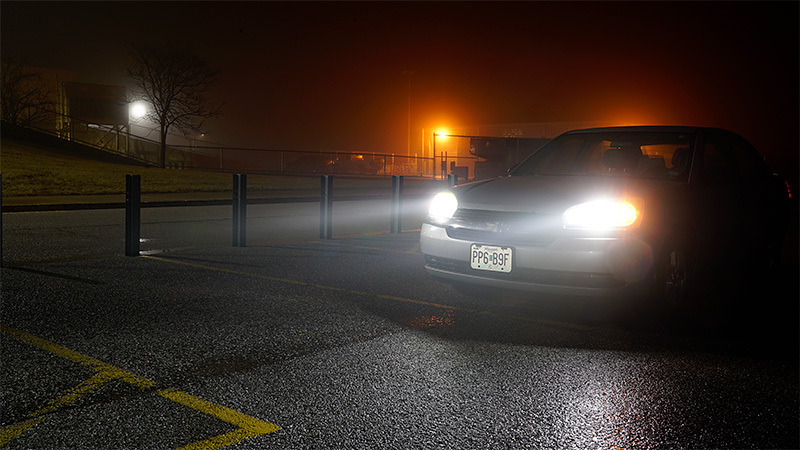 The brights do work as expected but I don't think I'll use them much as the Low beams are more than enough so far. I also have not had anyone flashing me to dim my lights when in Low Beam. 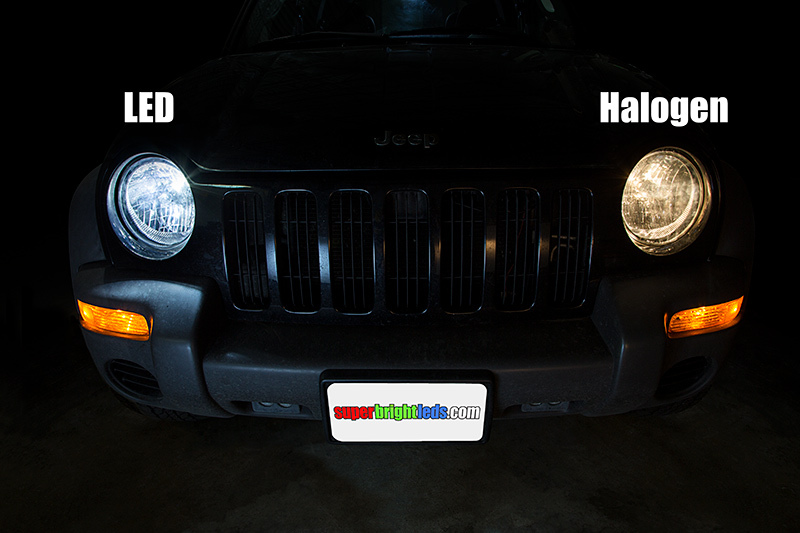 Make sure that the LEDs are horizontal (Left and Right) when installing. The bulb base has a "V" notch that should be on top when installing. I'll update this if needed. 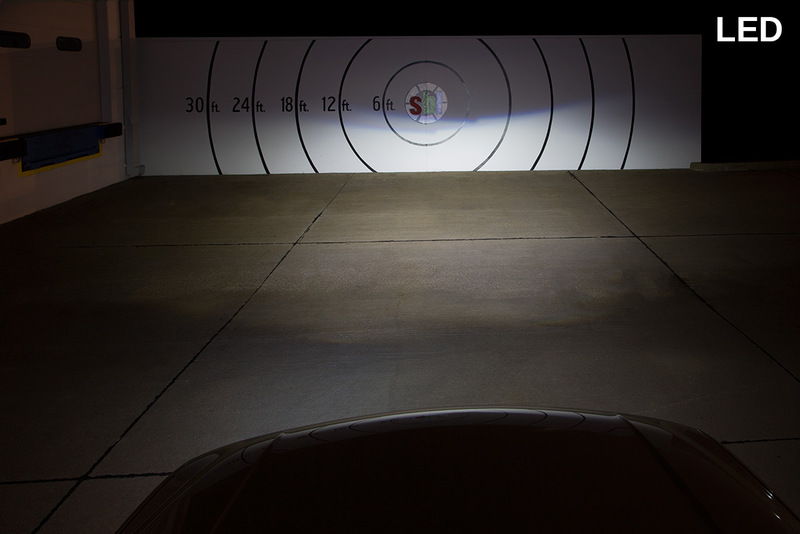 copy of the low beam at a couple of millimeters higher elevation. 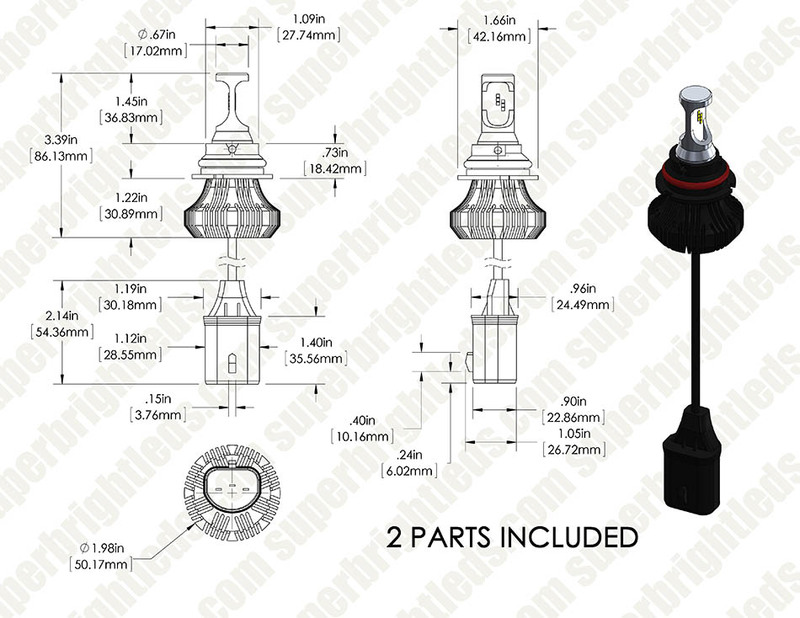 The lamp has 12 identical LED's, 6 low beam and 6 high beam. Only 6 are lit at any one time, 3 on left and 3 on right. This was done (they say) to imitate a halogen bulb, however a halogen bulb has a higher wattage high beam! 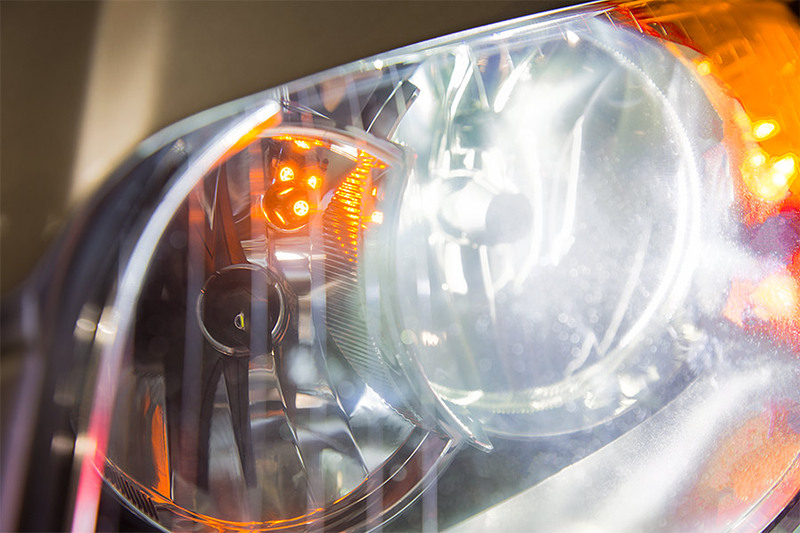 I installed them in a 1998 Ford Ranger with new headlamp housings from LMC truck parts. 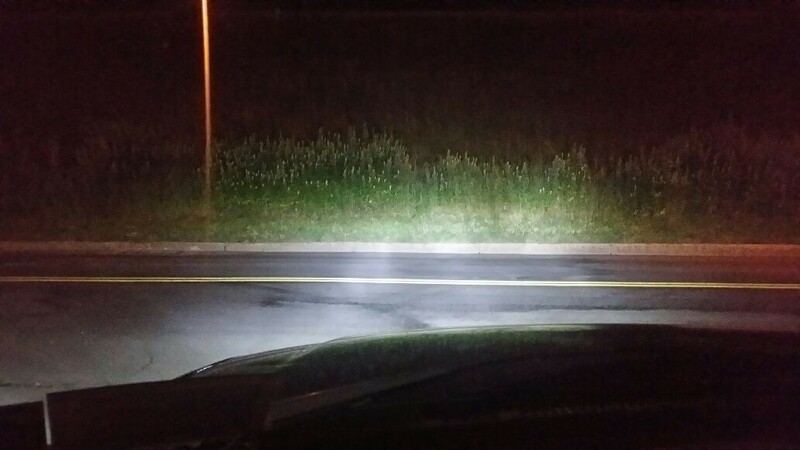 When on, they are incredibly bright white but they cast a shadow of the lamps on the road. I imagine because they are solid and not clear like a glass bulb. Not a huge deal, but noticed. See included pics. Still way better than my 80/100 halogen bulbs. Bright! And we'll put together. 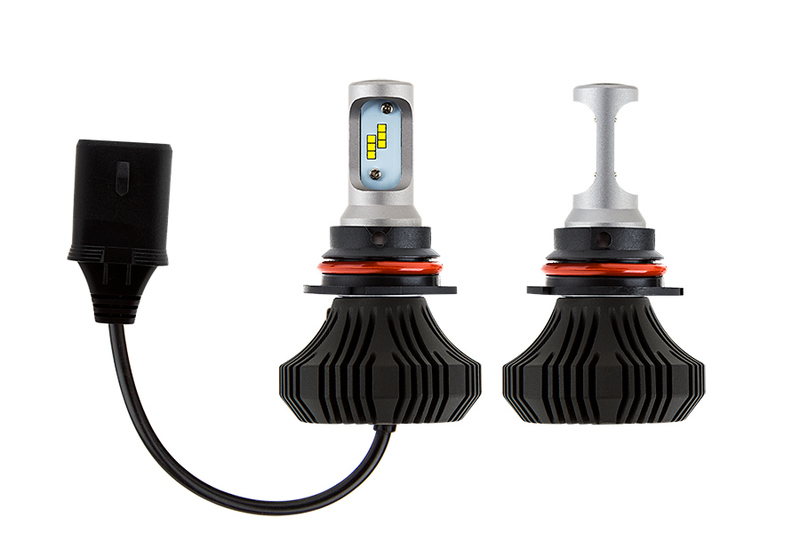 Installed these in a 2010 chevy cobalt headlights. 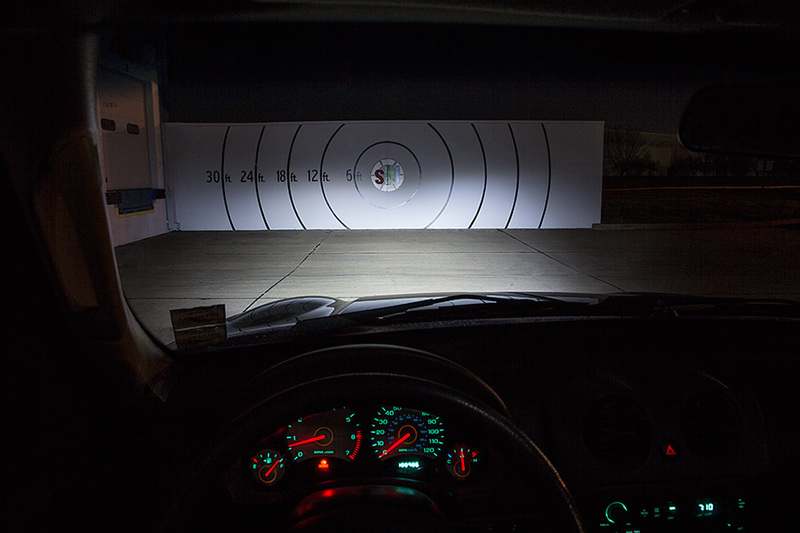 The bulb is pretty adjustable for trying to aim the beam pattern. In the low beam no one has flashed there high beams at me for being to "bright" so I they aimed well. The only thing I do not like about them is the high beam scatters the light to much and it's less bright on the road then the low beams. Overall I'm very happy with the lights but if you frequently use your high beams they may not give you the most light output on a chevy cobalt. The normal light setting is amazing. It is like someone turned on the sun right in front of me. The blue light is exceptionally helpful for reflecting off road signs and construction cones. 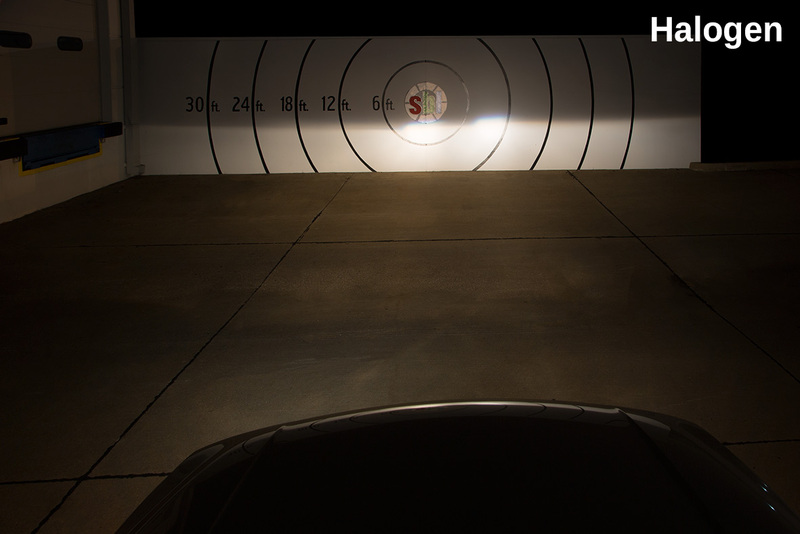 I am disappointed in the high beam setting however. 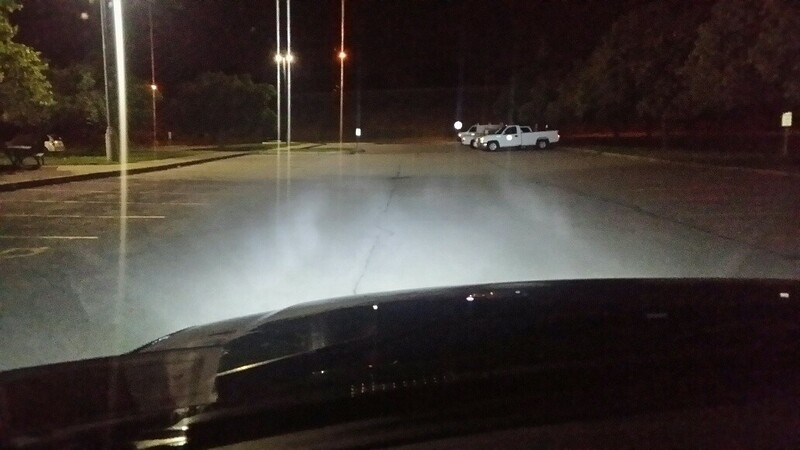 It seems like my lights just turn off as soon as I flip on the high beams. I tried to readjust the alignment, but it does not do much. My guess is that the heat fin is designed to dissipate heat for 3 LED's at a time, so the internal wiring switches to lighting up the other 3 LED's, and since they do not seem to be in the right spot, my high beam setting essentially dims out my headlights completely. Install instructions that came with it were not helpful. You are better off searching online for other install videos and matching it to the housing that was installed. 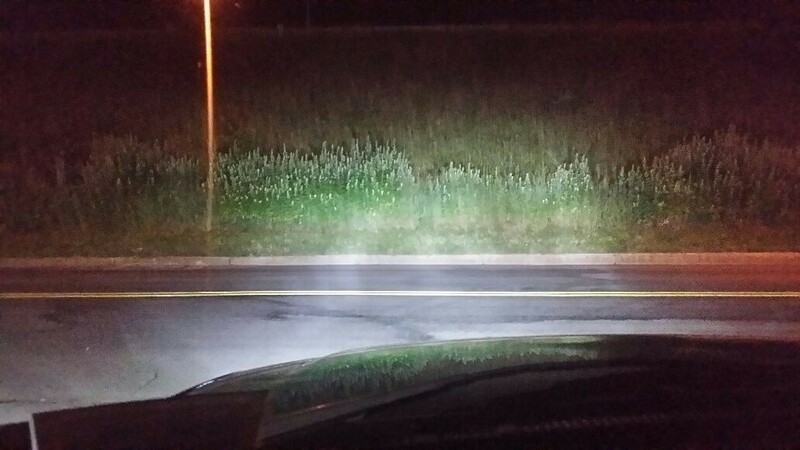 Overall, I am satisfied because I never use high beams, but if you do, you might reconsider. The 9007 has specific instructions on how to set up the alignments in the 9007-HLV4 Instruction Manual. Further alignment may be needed for the vehicle. See you vehicles owner manual for that proceeure.